Undoubtedly, Facebook is the best social site, and it provides its users some fascinating features, that’s why it has reached the position of the first social network of the world. One of the features given to the users of the Facebook is a Facebook Page. A Facebook Page is specially designed to show a brand and popularity of a brand. When peoples like a particular Facebook page the likes of that pages increase which represents the popularity of that brand or site. There is a site for getting auto likes, but I have never seen any site that gives likes to a Facebook page all of them are fake but today I am going to tell some pieces of tips that can be used by you to get more likes. Why do we want to get more Facebook Page likes? This is often asked question. What is the reason for which we want to get more and more likes on our Facebook Page? Well, the answer is very simple first, we want to show our popularity to the world. The second is if you have thousands of likes on your Facebook then you can drive a huge amount of traffic on your sites, blogs or products etc. besides this you can also use your Facebook page to promote other’s business and can earn a big amount of money from them. Here I am going to share the best strategies to increase the likes of your Facebook page. Although some of the methods which are listed below are very common but believe me if you follow all the strategies then you can get many Facebook page likes. 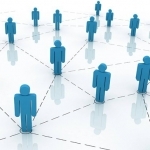 Inviting friends to like Facebook page is a very useful method to increase the like of a Page. When you create a page do not invite your friends immediately, in fact, wait for at least two days and then ask. In these two days post too much status images and links on your Facebook page according to the interest of your friends. 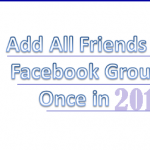 This will increase the chances that your friends will like your Facebook page. Once your friends like your Facebook page the next step is to say all of your friends to visit your Facebook page and use the “Invite Friends to like this page” option so that they can also send the Page Liking invitation to their own friends. By doing so your Facebook page likes can be multiplied. 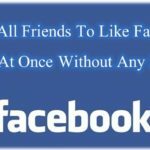 If you think your friend will not do so because it will take too much time then you can send this post “Invite All Friends To Like Facebook Page At Once Without Any Script” to your friends to invite all friends in just a few seconds. Invite Your Contacts Through Emails. If you have any contacts in your email, then you must use them because everybody has a Facebook account and if he/she is not your friend on Facebook or has not given a look at your Facebook Page invitation. Then he may like your page when he will see a mail in his/her email. This increase a little number of Facebook page likes. Drop and drop makes a river. When you post something daily on your Facebook page and share that with Facebook friends it encourages you Facebook page and will encourage your friends to like your Page. You should not continuously post for your Facebook page instead you should post just 1 to 2 posts a day. Because people don’t like to like those pages which posts too much. Daily posting is vital but posting related to the type of your page is also critical when you post something on you page the readers of your post should enjoy that if your blog is related to technology as I Tech GYD so we have to post according to the interest of our readers. If we post on food or clothing our readers will be disturbed that can affect on our Facebook page likes. This is the best strategy to get more and more like for your Facebook page. Just copy the URL of your page and start scrolling down your timeline when you find any post which is really good just paste the URL of your page in the comment. Keep on scrolling your timeline and repeat this process daily, I am sure you will definitely get too many likes on your Facebook page. I have also done so. Share for Share is the best method to get thousands of Page likes but this is a bit harder. Just search the Facebook and find all those pages which have a big number of likes and are also related to your niche. Just message the admin of that Page to share your page on his page in return you will share his page on your page. Do this with more and more pages. Once people started sharing your page your will get started likes. Linking your pages and timeline posts can help you to multiply your page likes. Once you are going to post something on your timeline just past the link of your Facebook page along your post. When someone your friends will see that link it is most likely he will like your Page. It is also a good technique to get more page likes. Having two pages instead of one is strange, is not is? Yes, of course, it is but believe me, it was the same strange for me as it is for you but when I tested this personally I found this is the best method to boost your Facebook pages likes. When you share something on your Page and also on your Timeline the other users do not see two different posts, instead, they see only one post with the title “You and I Tech GYd shared” this. But when you have two pages and both of they are sharing the same post on the same time Facebook will show that post to more and more people who are connected to your or who has liked your Facebook page. The reason for this is when two different sources share the same thing it gets the three times more importance. This technique not only works for Facebook it is also same for Google and other search engines. Sharing articles on your Facebook page is also the best way to increase your Facebook page likes. First, choose any topic and write a neat and clean article which your readers can understand and that should according to the niche of your Page or Brand. Enter a suitable title for your post. This will not only show your post to your Facebook friends, instead, your post will be indexed in Google’s index and will be shown in the search results. For getting your post in top search results your post must be SEO friendly. This is the best way to increase the likes of your Facebook page if you had a blog and got a traffic of about 250-500 page views per day then you can get at least 30 likes on your Facebook page quickly by adding the pop-up Facebook page like the toolbar on your blog. I have personally tested this. It is 100% working and the easiest method but with the condition of a blog. Facebook ads are the paid sources to get likes on your Facebook page. Normally we do not use it for promoting our Facebook page as it costs a lot but if you are an affiliate market, service seller or anything else who earn money by sharing the other’s contents then you should follow this method. Just create an ad for your Facebook page and Facebook will start showing your page to other’s as an ad and you will start getting likes as well as followers for your Facebook page. This was our guide about social media marketing strategy. We suggest you to start with free methods then go for the paid one because you only can learn Facebook marketing with free methods. Anyone can pay FB for marketing but you’ll not enjoy this way and you can’t learn anything. Once you start free marketing, i am sure you love it. There are many markers that are using free methods and getting amazing results. Above are the simplest and easiest ways which you can apply anytime. All the methods are accurate and to the point. You can use this method for any of your page. No matter what topic are you using, you can do it easily. Keep in mind to use attractive title and post thumbnail. Your job will be 50% done by doing this strategy right. The other 50% will be done when you apply all the above methods. Once you’ll getting likes and shares on your page, then you can go for the paid method because till then you’ll learn everything that how FB marketing works. Many people take start by paid method and sometimes, they fails and waste their money. So, you have to be smart enough in today’s world. It is only possible when you know about marketing strategy and its basics. We suggest you to read the above methods twice to understand better about these techniques. I am sure you’ll understand this guide. So, start promoting your page without wasting much time and money. We hope you love this guide. If so, you can share it with all of your friends and other loved ones and let them also help to understand the art of FB marketing. If you have any question related to this topic, you can ask from us in the comment section.